North Star’s JW and J. Dewey Hawkins Lodge WM, pre-party time. The room is starting to fill! A few photos from our photobooth of Brothers and family going crazy! WM and SS post party counting money destined for the Grand Master’s charity! of the Tall Cedars of Lebanon Palm Beach Chapter #113, including the Grand Tall Cedar, presented us with a little about this appendant body and their charity. 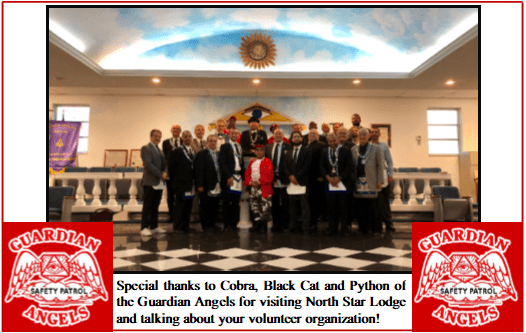 Members of the Guardian Angels and Junior Guardian Angels visited North Star Lodge to discuss about volunteering and their organization. WMs of North Broward, Doric and North Star Lodges, respectively after PM Degree. North Star Brothers and wives after the formal gala. 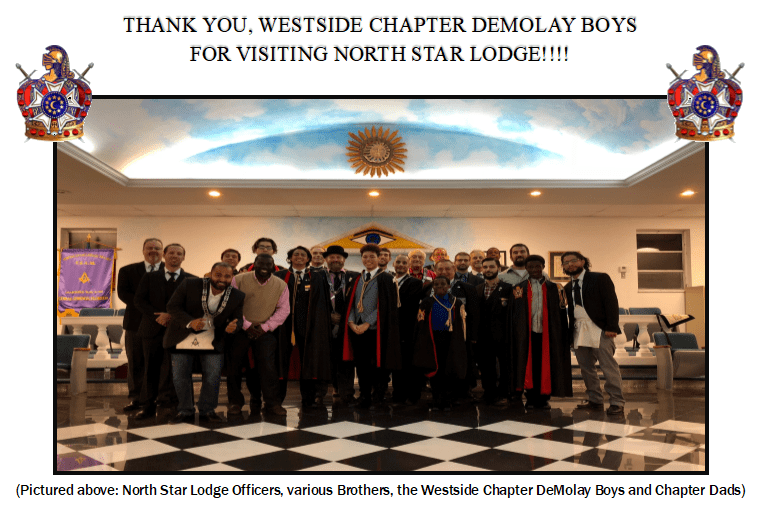 Westside Chapter DeMolay Boys teaching us about their history and answering our questions before a Stated Communication. 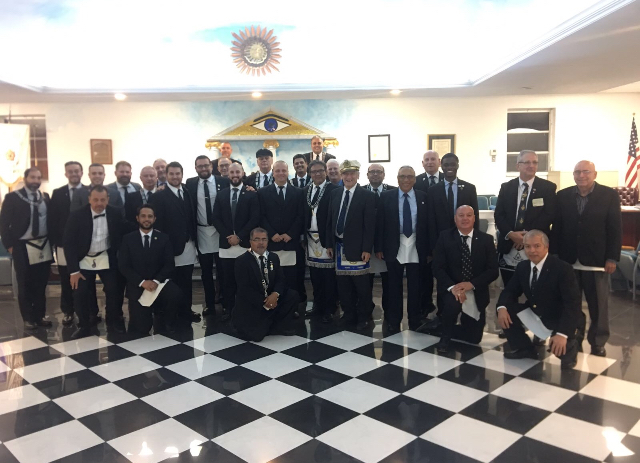 Rainbow Girls Hollywood #12 with a recent visit to our Lodge, including Florida’s Grand Worthy Adviser, promoting “Hearts on Fire”!